Ethnography in Education is an accessible guidebook to the different approaches taken by ethnographers studying education. Drawing on their own experience of teaching and using these methods, the authors help you cultivate an 'ethnographic imagination' in your own research and writing. - debates about new approaches and innovations. 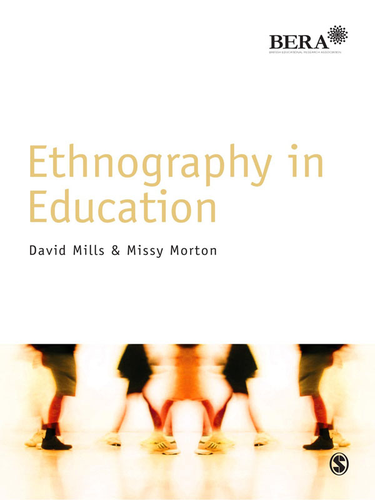 This book is ideal for postgraduate students in Education and related disciplines seeking to use an ethnographic approach in their Masters and Doctoral theses. David Mills is a University Lecturer in Education, University of Oxford. Each book in this series maps the territory of a key research approach or topic in order to help readers progress from beginner to advanced researcher. Each book aims to provide a definitive, market-leading overview and to present a blend of theory and practice with a critical edge. All titles in the series are written for Master's-level students anywhere and are intended to be useful to the many diverse constituencies interested in research on education and related areas. For more about the series and additional resources visit the BERA/SAGE series page here.